The purpose of impact investing is to achieve transformative scale by responding to the critical need for achievable solutions to today’s complex social and environmental challenges. Impact investing does this by channeling capital toward initiatives that provide measurable financial and social returns. If this kind of investment interests you, then I recommend registering for the upcoming Stanford Social Innovation Review webinar with Gerald Chertavian, founder and CEO of Year Up. Before I delve further into impact investing, I think we first need to admit that some of the solutions to society’s complex problems already exist. The challenge then becomes scaling those solutions toward system transformation instead of focusing all our energy on searching for the latest solutions. This is where impact investing has a transformative role. New financial instruments that allow social entrepreneurs to achieve significant impact while providing investor returns. Not-for-profits and charities operating profit-generating ventures and accessing required debt or equity to expand their public benefit missions, without putting their legal status at risk. 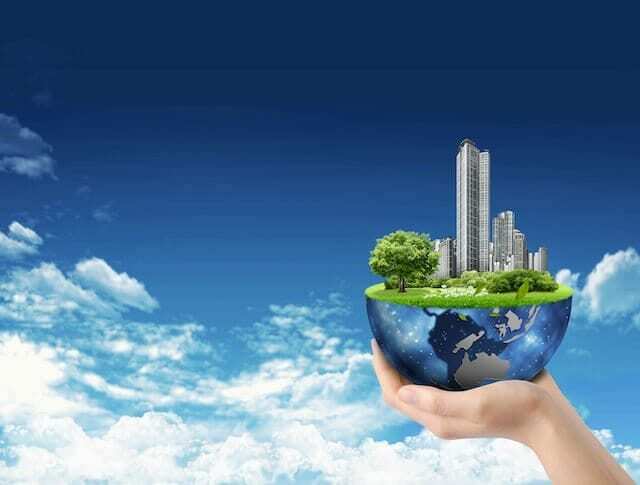 Everyday investors having wide-market access to investment products designed for social and environmental purposes. Corporations that account for social and environmental value because they know it is good for business. A regulatory environment that has advanced at a pace that captures potential instead of impeding it. Mainstream investors that seek opportunities for impact because it matters to be part of the solution. 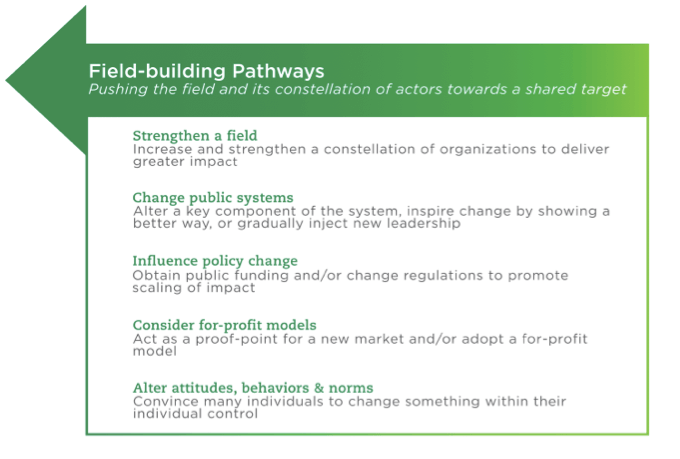 In the future, impact investing will help to uncover the pathways to transformative scale, but it won’t be easy. Transformative scale takes deliberate action over a dedicated time period. The term “relentless incrementalism” springs to mind here. In the meantime, I will share a tangible set of approaches that are worth experimenting with. 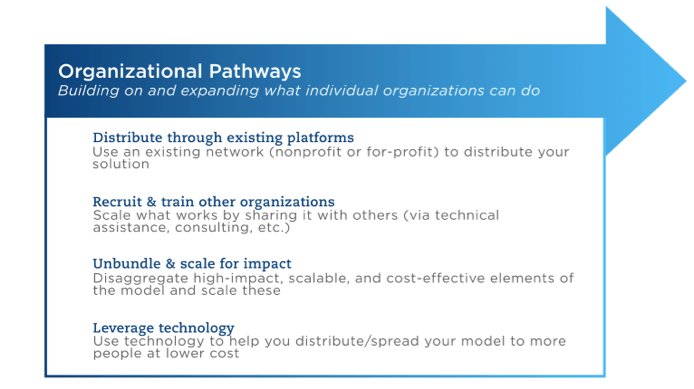 Earlier this year, the Bridgespan Group produced the report, “Transformative Scale: The Future of Growing What Works,” providing strategies that I recognize within my own work in impact investing. When we talk about these big ideas of “scaling social impact” and “transformative scale,” we need grounded and practical ways forward. The authors – Jeffrey Bradach and Abe Grindle – provide a thoughtful set of strategies toward transformative scale. Below is a snapshot. I encourage you to look further into the actual case examples. Where is impact investing most active today? And if you want to know where impact investing will be in the future, consider this: If we think back 50 years, we can identify critical choices that were made (or not made) that affect us today. What can we set in motion today that will positively impact our future? Fifty years from now, what aspect of our time will people be reflecting on, and what can we set in motion now that will make a positive impact for the future? Renowned oceanographer Sylvia Earle has made it her life’s work to ask that question about the health of our planet. Note: This piece is the first in what will be an ongoing series on impact investing in Canada, focused on unpacking the State of the Nation report. Stay tuned for more insights!